Time Spend Analyzing After Meeting A Modern Cult (The Introduction). Recently, I have been looking at language while diving into modern religious or cult-ish writing techniques and aesthetics. 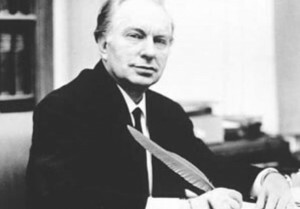 This is mainly the language used by Scientology and the way its founder L. Ron Hubbard confuses the reader, which then, makes it possible for Hubbard to arrive at simpler conclusions. I have looked at the writings of William S. Burroughs in his book The Job, where he argues for the seemingly nonsense idea of language as a virus. The following is a result of these readings made with the agenda of publicizing these techniques for us to advantage of. I: Using “Mental Fogginess” To Simplify Conclusions. The problem is not that these difficult concepts such as telepathy, dynamic principle of existence, etc. are hard to grasp. The problem is that Hubbard is using them as a sort of “mental fogginess”, so when he finally concludes that the essence of all this is to SURVIVE!, the reader might not have understood what was meant above but the essence of it (to survive) we all surely understood, and we then do not need to use a good dictionary to understand this. Hubbard also tells us in the text that we do not need to concern ourselves with the basic questions to our existence. He says that by dividing everything in the field of thoughts into two categories, the unknowable and the knowable, we then do not need to concern ourselves with such indefinites as spiritualism, deism or the human soul. This is of course addressed towards those who search for meaning. Hubbard constantly plays with concepts that an ordinary person will be confused by, and what the ordinary person will easily understand and in these easily understandable parts, he then gently pads our backs to ease our worries. After Burroughs has claimed that The word has not been recognized as a virus he then quickly makes a shift to Professor Wilson Smith, making it seem like it is exactly this that Wilson Smith argues for, although Wilson Smith is not. But when Burroughs then quickly again reassures the reader that the spoken word as we know it came after the written word due to a virus infection, which also is a highly speculative statement, Borough is then again putting this idea of the word as a virus into our minds, and it is only made possible by the use of an authoritarian language. We see that Burroughs is using language like it is an actor in a hidden camera show. Like a scene where an actor is dressed up as a police officer on a train station, ordering passengers to get out of the train, only to be left on the station, tricked by what they thought was the law. This is just as I have done by manipulation all of Burroughs’ statements for my own agenda. But what I in generally would like to propose is this: Let everyone take advantage of these techniques to create a more chaotic environment, were illogical facts can sprout in the chaos of all other illogical facts. But to make this environment to perfection, there are other techniques we need to acquire. Luckily every technique can be learned for this purpose since much of it already has been produced for us to observe.